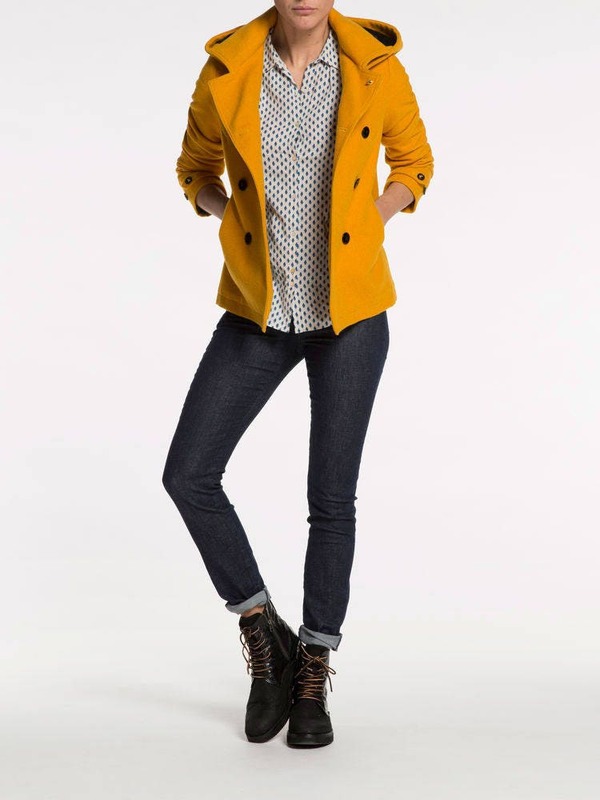 For sale is this lovely 2016 season and sold out Maison Scotch pumpkin yellow woollen jacket in size 8. 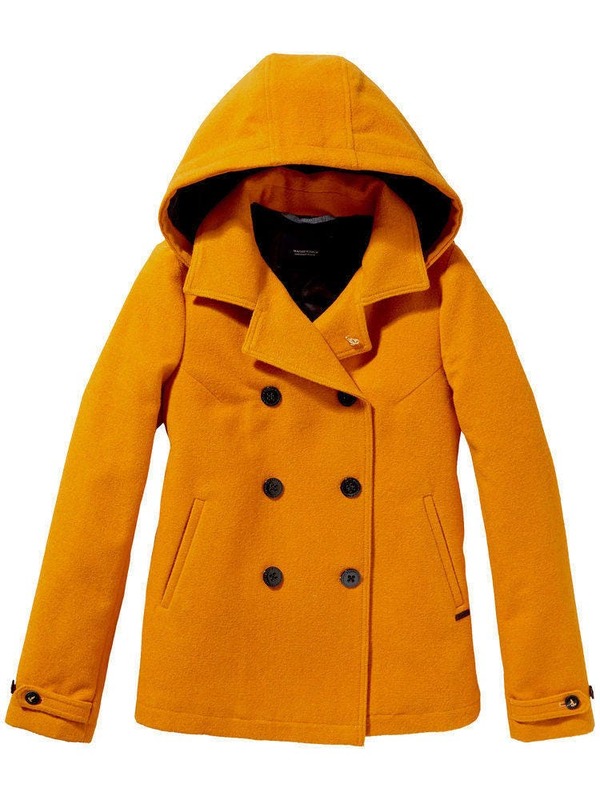 MAISON SCOTCH - Captain Mustard Woollen Peacoat in size 8 or Small. Sold out in store. Double-breasted coat with detachable hood. Insignia on the shoulder and contrasting black buttons. Welt pockets and inside pocket. Women's double breasted peacoat from Maison Scotch with wool blend construction and detachable hood. 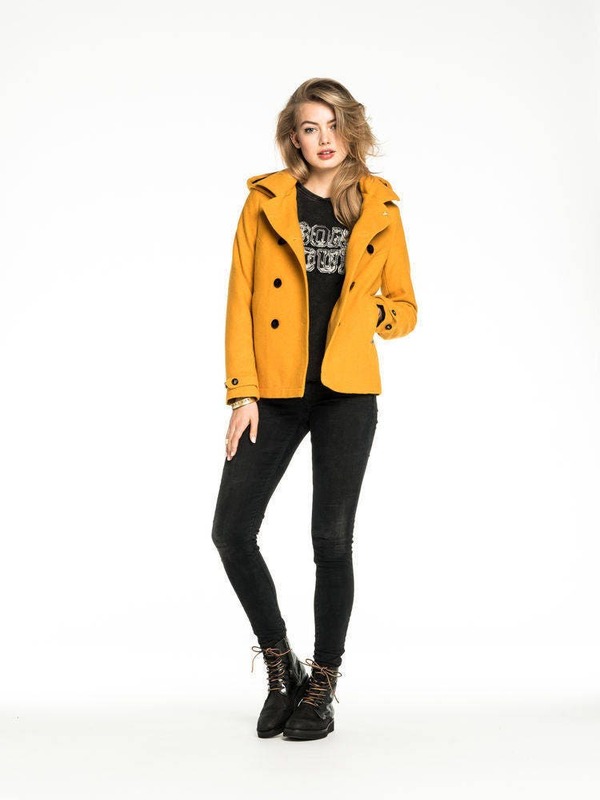 Showcasing a classic silhouette, the coat features a notch lapel collar, double breasted fastening with contrast buttons and two welt pockets to the hips. Complete with long sleeves and adjustable cuffs. - K.N. Black satin lining.